Hunting wild boar, real European, in Reserve ON Canada. Wild boar hunting True WildBoar hunting pReserve. 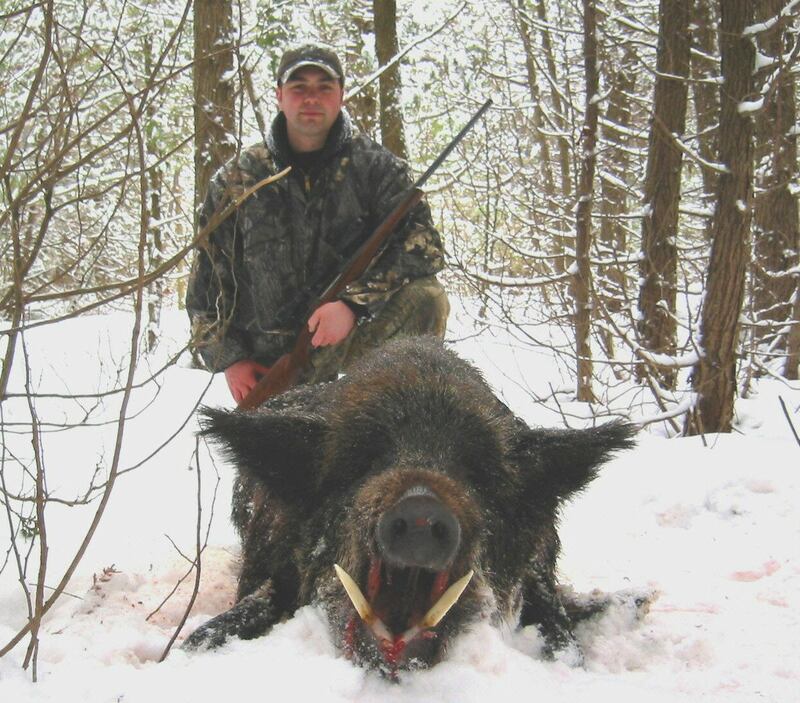 Real European wildboar hunting in Ontario. A true Wild Boar hunting story ! The boar was angry that day ....... Click for Video!